So after several weeks (months) of not updating this blog with progress of the Computer Science independent study, guess what? I’m done! Nowhere near what I wanted to achieve in the beginning, but I think I learned a thing or two. As always, as with any of my other brilliant ideas, I regretted this one ardently and often. Here’s what came of it! I owe this largely to Autodesk Maya’s online Python command reference. All semester long, that was by far the best resource I found for a beginner 3D programmer. I’m sure that taking a 3D graphics programming class, focusing on MEL or Python, would help a lot, too. We’ll see about that senior year. For now, I learned how to generate a simple scene with a stylized ground plane, grass, rocks, and trees. Everything is controlled by the inbuilt random generator, which will produce the same exact results each time I execute my code, but will change drastically at the slightest alteration of a number. The size, shape, rotation, component deformation, and placement of each element in this scene is controlled by the random generator. The ground plane can be any size, with any amount of huge hills or tiny ditches, or just plain smooth. The trees, rocks, and grass can cover its entirety, or be limited to a specific portion of the ground. It’s a Cartesian plane. Just change the numbers. Here, a lot of trees and not much grass. Here – a lot of grass, more rocks, and only a few trees. And if I was creative (let’s face it, I meant “not lazy”), I’d make scenes with big hills, grass and rocks of varying size, trees along the path of a winding river, a dense forest of skinny trees, a dark scary forest of fat trees and millions of small pebbles instead of grass covering the ground.. the more I look at it, the more I realize that I actually made something! Hey, look at that! Unfortunately, as much as I wanted to figure out coding shaders and lights, I ended up adding those manually. Cheater. And as much as I like to say that I’ll pick up Python again and learn some more code in the future… We all know that I won’t. No, everyone thinks I will, but I actually won’t. Knowing me, though, I will. We’ll see. It’s a long life. Thank goodness, this semester is, at last, over. Life, like anything in life, needs direction. That is more vague and pretentious than I intended it to be. The point is, I sat down this week to do some Python coding in Maya, and realized that I really lack direction. That is, I know where I want to end up, but I still, still don’t have a good idea of how to get there. So, once again, I went looking for.. something. Something that wasn’t a random tutorial or another student’s question on Stack Overflow. And I found, once again, that there really aren’t many resources for scripting in Python for Maya, which is strange since Python is so widely used in 3D applications. A friend of mine said I should try looking in Mexico, because, apparently, there are plenty of pythons and Mayans there. After some more digging, however, I found this – a collection of beginner video tutorials by Chris Zurbrigg. Zurbrigg is an independent software developer from Canada, who creates “animator-friendly” Python coding tutorials on the side. Most of the are really recent, from this summer, and they start from the very basics. This would have been perfect during week 1, since the majority of this course is beginner level, but I decided to go through it anyway, just in case I happen to learn something new. Well, what do you know, I use three of those on a daily basis! What this list ultimately shows is that Python is a connector between different stages of the 3D pipeline. It helps bring modeled objects into an animation program, then into a simulation program, then into a compositing program, etc. It all makes sense now. Here I was, trying my best to just select and move some vertices with your regular old select(), move(), setAttr() functions… When all that I need to do is use the polyMoveVertex() function. If I knew that it existed from the start… Oh boy. So the title of this post may be a bit over-dramatic, but necessary. We’re moving into scripted component editing. I followed my plan for the ground plane, and finally got it to work. Here, I randomly select a number of vertices and move them a certain random amount within set bounds. Then I subdivide the the plane to smooth it out. And, ground! Similarly, I experimented a bit and made a tree. A rough tree, using the same technique as above: taking random vertices and displacing them on a local axis before subdividing the mesh to smooth it. However, upon closer inspection, I found that there are actually 60 trees in this scene. Oops. I tried altering my numbers and figuring out what is happening, but nothing helped. I came to the conclusion that I need a new random generation method, since the current one generates the same numbers every few iterations. Another task for next week. That’s all. Ground and six(ty) trees. And honestly, in retrospect, these are still very simple and basic functions. I’m still figuring out what in Maya is easier done in Python, and what is more efficient to do manually. Once I get a good grasp of that, I expect my workflow and my production times to improve significantly. Having brushed up on functions, iteration, conditionals, and the such, I have come up with a very basic pseudo code for how my final project should work. 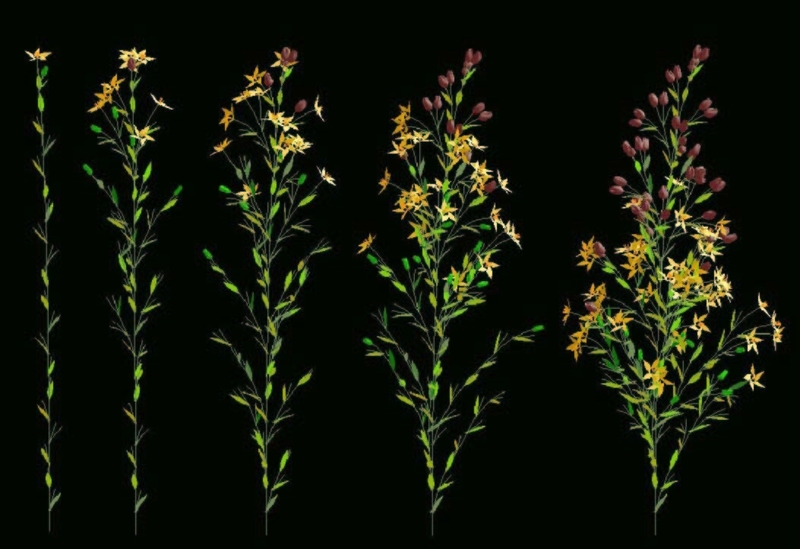 Each file referenced into the scene would hold one single object – a type of tree, a flower, something that will be used to populate the scene. These files will be named and processed accordingly. All the textures will be created and applied within the referenced files. Lights will be added after all the objects have been created and placed. And in the meantime, more practice. So I took this code for a ride and made something of my own. Fun fact: after about an hour of tweaking it and testing it, Maya crashes and doesn’t save the code. But I fixed it. And, of course, I can’t just leave it there. I add a couple of colorful lights and do a basic render, because I’m a big fan of lighting. Blinn, blinn everywhere. Jim Blinn is my favorite. Also, I should learn how to code lights, since I like them so much. Quick note: using this method to create and assign shaders is not the best. The material colors follow a sine pattern, therefore they repeat after so many iterations, but a new (duplicate) shader is created for each object regardless of that. So this scene had a lot of shaders, which would be difficult to sift through in the long run. And lastly, this project may not exactly look like the organic environment I am hoping to achieve, but it was a valuable exercise in functions and procedural modeling overall. Hey, maybe my environment will have ancient ruins in it! However, this doesn’t quite work. The code breaks on the line that creates a shading group set. What needs to happen is a new set created for every sphere in the scene. However, each time the program tries assigning the material it just created to an object, it attempts to push that object into the previous set instead of outright creating a new one. Sets have many flags that one can use, but no matter what I tried, I did not figure out how to create a new set during each iteration of the loop. There’s no such thing as giving up. How do you explain to a 6-months old kitten that you are not his mother? I digress. Today we shall discuss not kittens, but Python variables, Maya nodes, and communication between the two. without actually holding any objects or data. 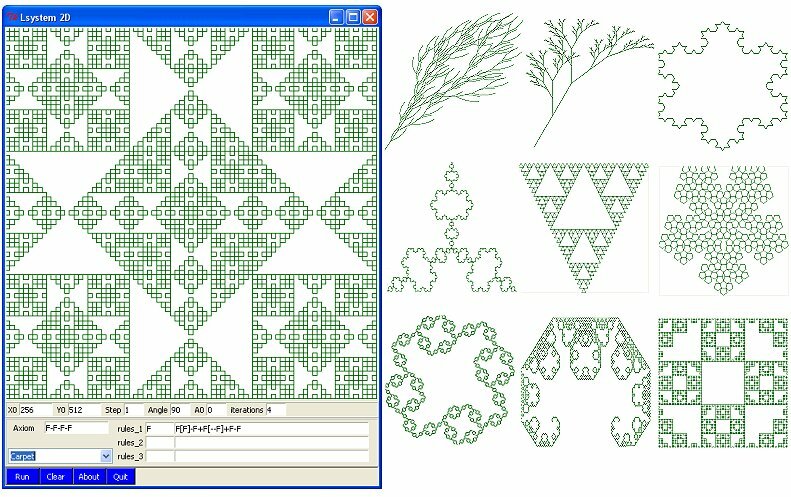 The first is a transform node, the second – a shape node. The name of the shape node can now be stored in another variable for future access. It is not the best practice to go off the current state of nodes, so storing and calling on variables is the way to go. Maya can and will rename your nodes without telling you so. Use variables. So wait, there was something about transform versus shape nodes? As I have written before, Maya stores data in the from of nodes that describe the objects’ attributes. The shape node, as the name implies, holds the geometry attributes of an object, and is the child of the transform node, which holds the object’s translation, rotation, and scale values. Unlike the getAttr and setAttr commands, the xform command is designed to work with transform nodes and can be used to quickly change them. I cannot stress enough the importance and the widespread use of set driven keys. And this code makes it conveniently easy. So I finally figured out how to do colors!! Nobody can stop me now, muahaha. Now I can achieve last week’s dream and create a random generator of colors. In theory, I’d need to create a bunch of materials with different colors (made random by varying RGB values), connect to their own shading groups, and indiscriminately assign them to the objects in the scene. In a similar manner, I can create and assign random textures/bump maps/specular values/etc. In theory, I could create only a few color, texture, specular (and so on) nodes, and make a much greater number of materials based on their combinations. The only problem with all this is that… there will be a lot of fraggin materials in the scene. That… is the task of next time. P. S. This code snippet contains the weird “%” sign and “%s”. The modulo is the string formatting or interpolation operator, and allows for more concise formatting when multiple arguments are involved. %s indicates a string, %f indicates a float, etc. So basically – a shorter way to write things. Only practice will make me understand it better. More about this in the Python Standard Library, 5.6.2. As soon as I saw the result, I thought: I should randomize as many attributes and parameters as I can! Let’s try cubes. Let’s resize them and rotate and add colors. And, well, after almost two hours of research and trial and error, I decided that colors will have to wait. I will get to them, eventually, but not tonight. This, right there, is 500 blades of grass. Yes, they have a bit more geometry than they need, but they occupy a fairly tiny bit of space. Generating this little scene took a little over 2 seconds. It seems like a short time and an insignificant detail, but it is anything but – when the time comes to create a full scene with thousands of objects, dozens of materials, several lights and additional particle effects, these seconds will add up, a lot. I can already tell that I’ll have to spend quite some time on code optimization later. Python is fun, guys. Try it sometime. Nora was right. This is a bit addicting. I am currently in the process of figuring out how to edit mesh in component mode. It’s so straightforward when using the Maya interface.. and a bit confusing and cumbersome when trying to code it. It would still be useful to use script for certain editing jobs, I just need to figure out how. I tried selecting a face on a cube to move it to a point in space, and ended up aligning all the vertices of that face along one axis. Give me a minute, I’ll get this. But operating with objects seems like no problem at all! Python commands in Maya have flags (width/w, subdivisionsY/sy, all, name/n) to specify the objects’ attributes. Commands may be available in different modes: create, edit, query, or multiuse. Flags are often available only in certain modes – you cannot create every editable attribute. Consecutive commands will be executed on the last selected object, unless you specify otherwise (select something else). So Nora, Emily, and I are being brave pioneers. Let’s back up to late freshman year. Thinking of what I want to do with the rest of my college years, I realize that I want a minor. A useful minor. A minor that could potentially boost my resume, widen my skill set, and give me a better chance at being hired in my professional field. All that good stuff. After doing some research into RIT’s minors, classes, and animation skills that companies are looking for, I decided on Computer Science. Managed to convince four of my friends to do it with me. Unarguably, he following year has been a serious struggle. We trudged through the introductory computer science sequence of classes, getting our feet wet with Python and Java. It was never easy and invariably painful, especially when stirred together with our other classes, films, and copious amounts of poor quality caffeine into one cringe-worthy brew of sophomore year. I have nothing but good memories, can you tell? Still, in all seriousness, we do not regret it. We haven’t quit, after all. Two more classes to complete this deal, and we’re determined to get there. Which brings me back to today’s reality. We have successfully argued our way to get independent study classes for this semester, with credits for our minor. Now the interesting thing here is that we’re the first to do this. Professors in the computer science department know little about Maya, and our animation professors are not coding specialists. We are quite on our own. It’s exciting and terrifying. My independent study will revolve around, you guessed it, modeling. Modeling using code, and in our case – Python, because it’s the most widely used language for 3D software. I will attempt to model assets for an organic environment scene, generate different random variations of the fully populated scene, texture, light, and render it. With Python and minimal manipulation of Maya’s manual tools.